THE MODEL: A app which helps users track how much they move every day and how much they need to move. The goal is to move atleast 30 minutes in a day. 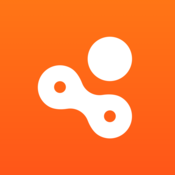 Core Idea – An app for fitness tracking and advice. Passive Location Tracking – A user has to simply set it up once and forget about it. It keeps working in the background. Good Design – The app has a great animated design and the background picture keeps changing. Comparing Feature – A user can compare his/her activity levels as compared to people around. This helps in assessment as well as motivation. Data Analytics & Usage – The app plans to collect data about a user’s home, office, gym and use that to improve daily habits and lifestyle. This will help move the app from a crowded fitness tracking space to a space more focused on fitness support and advice. Competition – The fitness app space is a very crowded one. Though Human is trying to differentiate itself, getting user downloads will be challenging.